The attempt to unite nationalists groups might prove futile, as diverging interests and their leaders' clashing personalities have so far prevented them from teaming up. Pollsters expect ring-wing populists to score between 20 and 30 percent. Whether anti-EU parties can muster a blocking minority in the European Parliament depends on their ability to forge one parliamentary group. They might have similar positions on immigration, but very different views in other areas says Davide Ferrari, research executive at VoteWatchEurope, a Brussels-based think tank that monitors the election campaigns. "The budget, for instance, is a key point, because the parties that are coming from net contributors have a different views on the size of the EU budget compared to others. And also on trade, which is linked to geopolitics. In this case we can see that some of the parties are more sort of libertarian in their attitude and free-market-oriented, whereas others are more protectionist, such as the Marine Le Pen party." And then there is the intractable issue of Brexit. Many nationalist parties once openly advocated leaving the EU. Yet the self-torturous and painfully complicated withdrawal process in Britain doesn't seem to make another -exit a winning campaign issue, suggests Susi Dennison, senior fellow at the European Council on Foreign Relations. "What you have seen is an evolution since 2016 in the way that anti-parties talk about taking their country out of the European Union. They sort of went from being potentuially anti-EU to being kind of skeptical towards euro zone membership to even toning that down. And now they talk about a Europe of sovereign nations. So what they have done there is recognized that actually European identity does seem to remain quite important to a lot of voters." Whether nationalists can really create a storm remains to be seen. 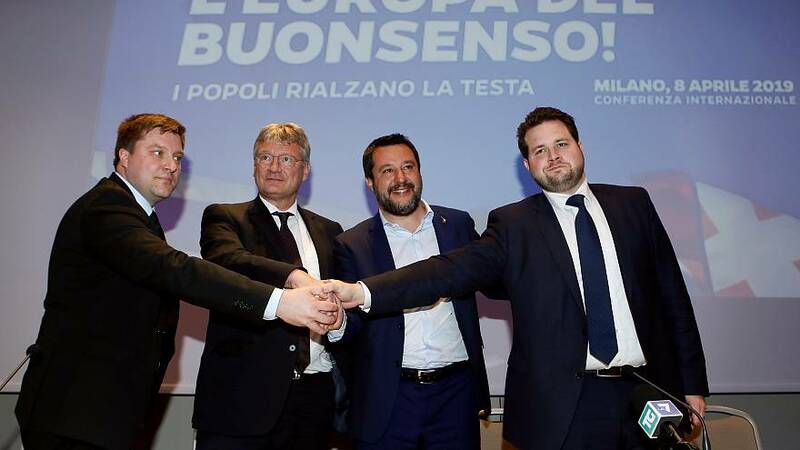 EU Elections 2019: Who is Ska Keller? And what does she stand for?